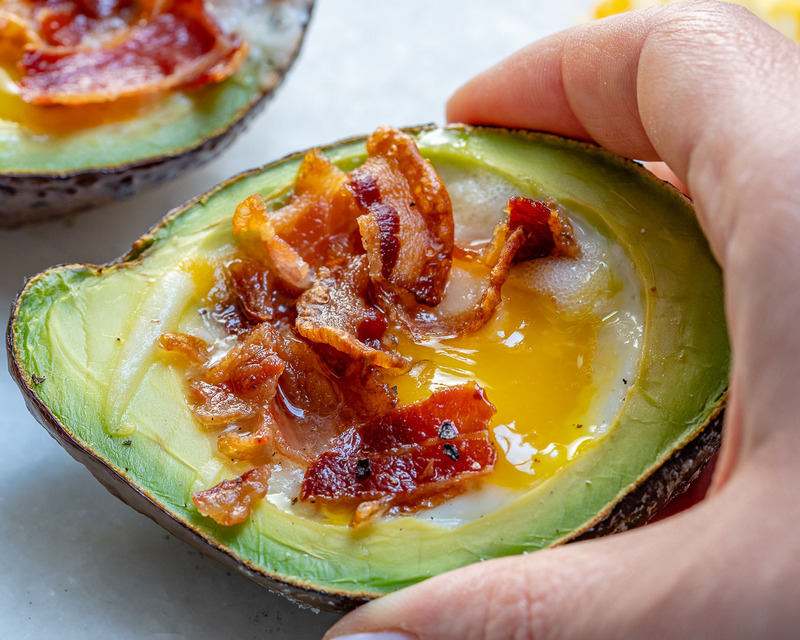 Try these Bacon + Egg Avocado Boats for a Healthy Brain Boost! 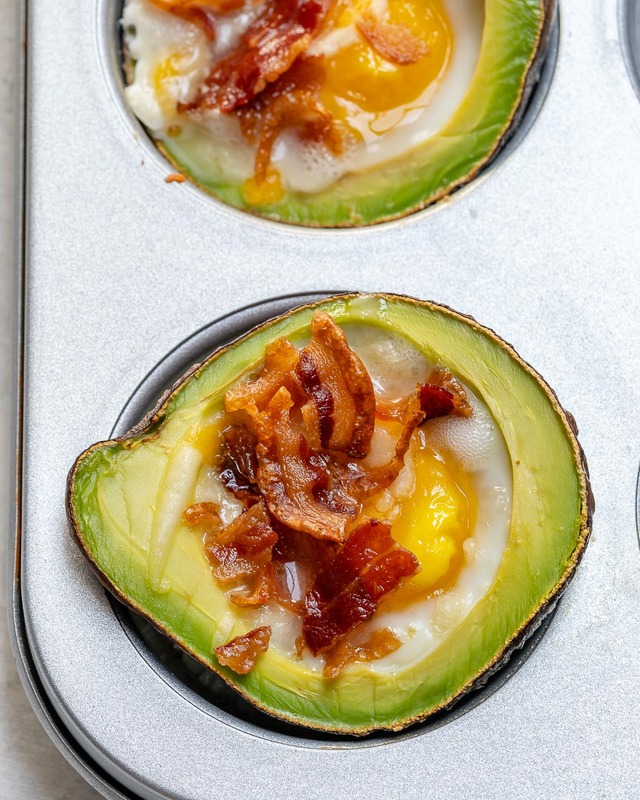 These little egg-filled boats are a quick (like 15 minutes from start to finish!) meal or snack idea, ANYTIME of day! I’m a huge fan of these! They’re a powerhouse of omega-3’s — aka: brain fuel + sustained energy. 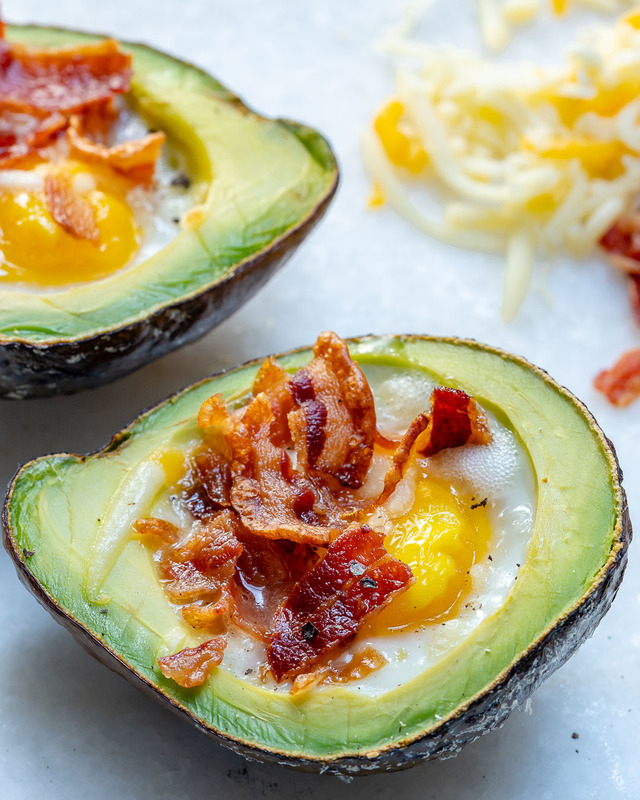 Cooked avocado flavor is a bit different, but in a good way–more of a creamy texture with a warm, runny egg yolk with crispy bacon on top is everything we want for a satisfying meal throughout the colder months. 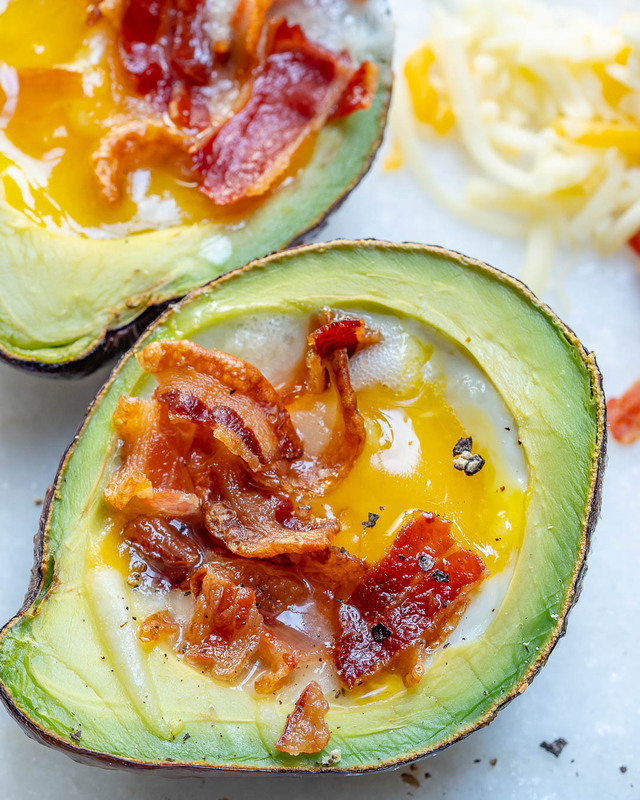 Scoop out some of the avocado with a spoon, to create a bit larger hole for your egg. 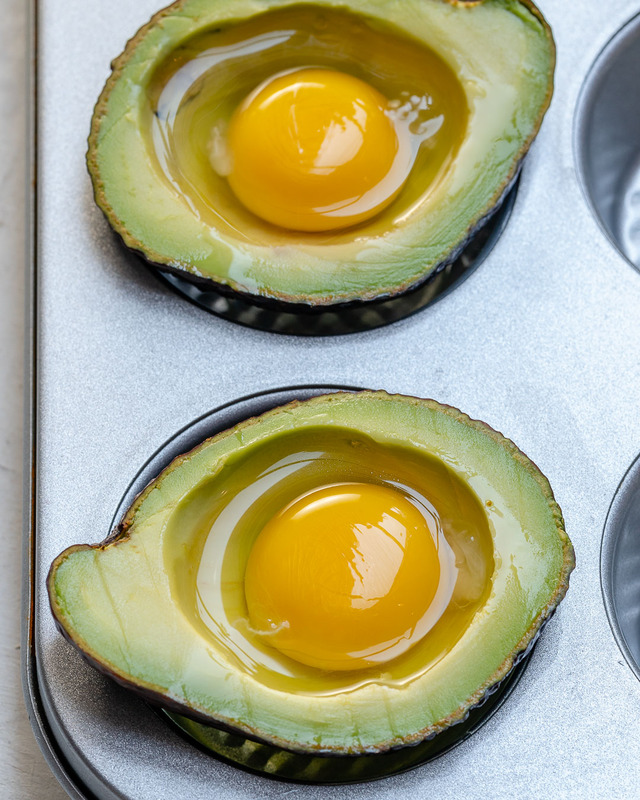 Place the avocados halves cut side up in a muffin tin, as shown to keep the avocado stable while baking. 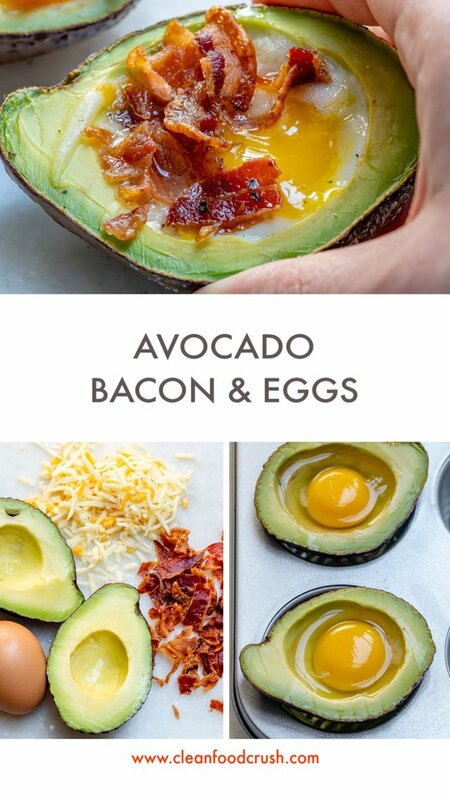 Gently crack an egg inside each one of the avocado halves. Season with sea salt, pepper and sprinkle a bit of cheese and crumbled cooked bacon equally. 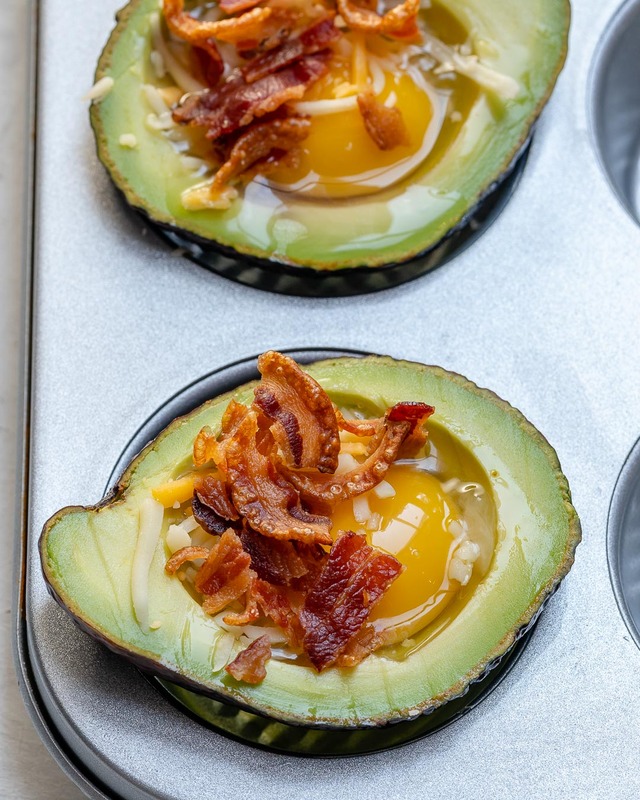 Cook in your preheated oven for 12-14 minutes, or until the eggs are just set. 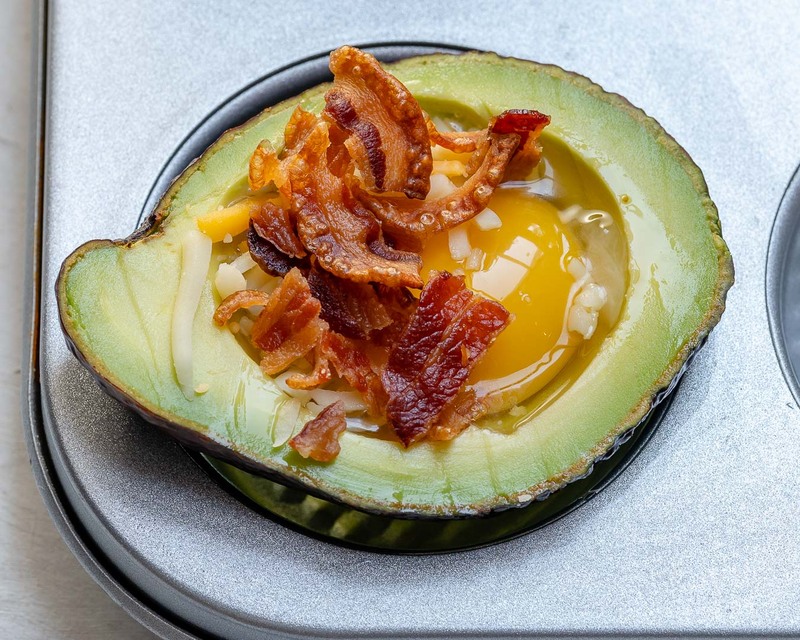 Preheat oven to 400 degrees f. Scoop out some of the avocado with a spoon, to create a bit larger hole for your egg. 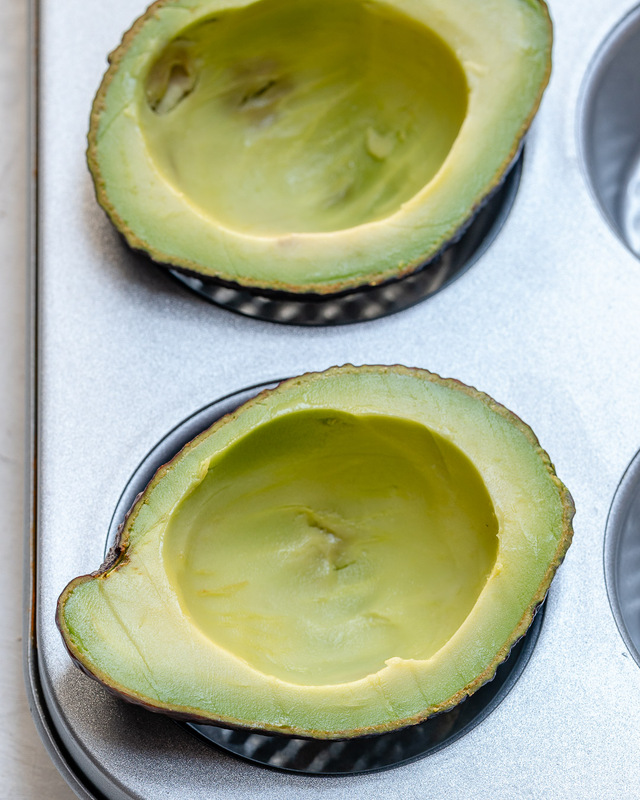 Place the avocados halves cut side up in a muffin tin, as shown to keep the avocado stable while baking. 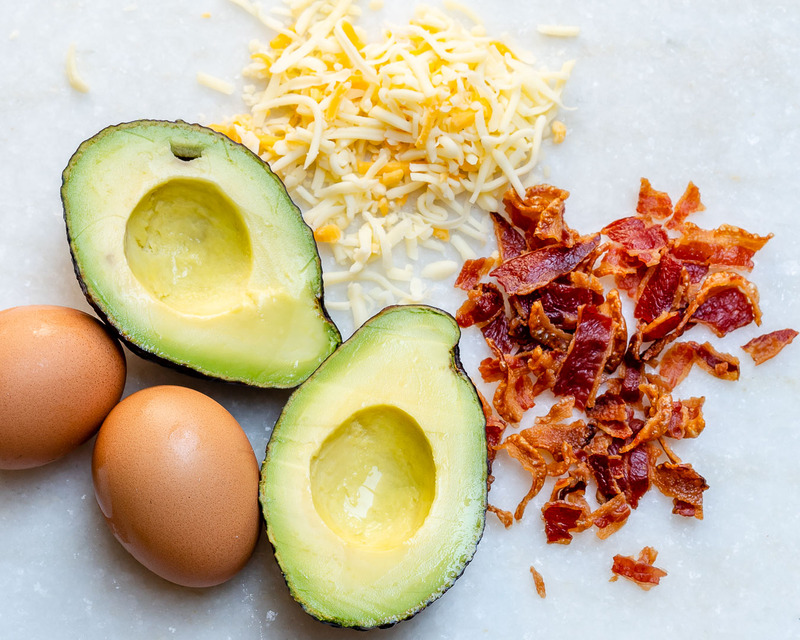 Gently crack an egg inside each one of the avocado halves. Season with sea salt, pepper and sprinkle a bit of cheese and crumbled cooked bacon equally. Cook in your preheated oven for 12-14 minutes, or until the eggs are just set. Enjoy! Cook in your preheated oven for 12-14 minutes, or until the eggs are just set. Enjoy!